Posted on 12, April 2019 by EuropaWire PR Editors | This entry was posted in Banks, Economy, Financial, Germany, Government, Investment, News, Politics and tagged 2019 Indian general election, bank, currency, Deutsche Bank, Deutsche Bank Research, equities, foreign institutional investor, foreign investors, general elections, INDIA, India’s general elections, Kaushik Das, Loksabha Election 2019, rupee, voting. Bookmark the permalink. FRANKFURT AM MAIN, 12-Apr-2019 — /EuropaWire/ — Deutsche Bank Research has observed a statistical trend during the general elections in India that almost all the time plays out in a similar manner. According to the bank’s researchers, India’s currency generally tends to do well heading into an election quarter, when looked into the historical evidence, but depreciates in the three-month period that immediately follows it. The pace of depreciation then starts reducing once again. 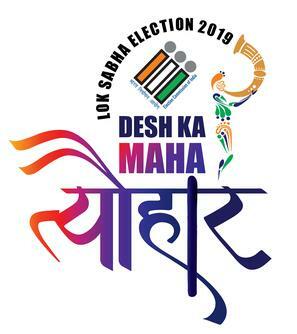 India’s general elections are regarded as world’s largest democratic voting and analysts from Deutsche Bank Research are looking into the statistics, trends and market expectations. An electorate of 900 million, out of them 130 million are first-time voters, will vote on the political party or alliance that will govern India during the next five years. Based on the numbers, the electoral process in India’s general elections may seem quite complicated. The voters are nearly 1 billion, there are 543 constituencies, 1.3 million polling stations and 11 million election officials. India’s elections begin on April 11 and end on May 19 while the votes are cast over seven phases in the course of the more than five weeks period. According to the market data, the Indian rupee has gained seven percent after it hit a low against the US dollar in October 2018. Kaushik Das continued: “If the election outcome is positive, the rupee will likely face more appreciation pressure by the end of May.” According to him the rupee is expected to end the year at levels of 72 to the US dollar. According to the bank, this view seems to be correlative to the trend of foreign institutional investor (FII) flows into India, particularly in equities. The foreign investments in India appear to have significantly increased from February 2019 and the momentum continued during March 2019 as well. According to the market data, nearly 7.5 billion US dollars are the net investments into Indian equities during February and March 2019 alone, reversing last year’s overall trend. By looking into historical data and trends, according to Deutsche Bank Research, the equity markets largely fare well around general elections in India. Markets have reacted positively, in some cases, just before the elections, anticipating a favourable outcome while in other cases, markets have rallied once the election uncertainty is out of the way. Deutsche Bank is Germany’s leading bank, with a strong position in Europe and a significant presence in the Americas and Asia Pacific. The bank provides commercial and investment banking, retail banking, transaction banking and asset and wealth management products and services to corporations, governments, institutional investors, small and medium-sized businesses, and private individuals.